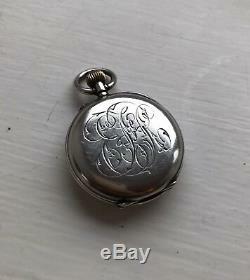 Solid silver fully functioning Victorian pocket watch. Rose gold crown for winding. 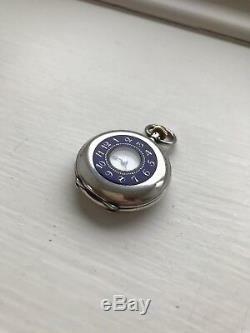 Blue enamel on front case with Roman numerals to mark the hours. Could be worn on a chain around the neck. Engraved on the back 30mm diameter case and dial. Case opens to display the dial fully. 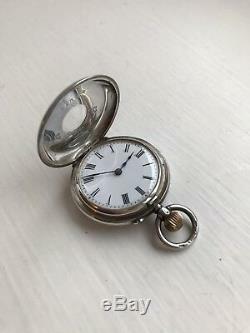 Lovely little working pocket watch. 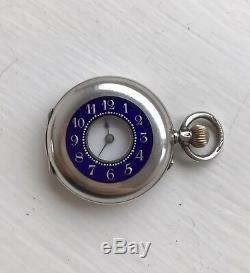 The item "Solid Silver & Enamel Victorian Pocket Watch Full Working Order" is in sale since Thursday, January 10, 2019. This item is in the category "Antiques\Silver\Solid Silver\Pocket Watches/Chains/Fobs". The seller is "josephinemyflyingmachine" and is located in Tewkesbury. This item can be shipped to North, South, or Latin America, all countries in Europe, Australia.